Imagine that you get in your car, start the engine, and say “Take me to work.” Then, you begin reading the latest news while drinking your coffee. Thirty minutes later, you look up because the car is parking. Robots have much faster reaction times, so they can draft — dividing the air resistance between cars. This could lower fuel consumption by 20 percent. Drafting will also help lower traffic congestion by 50 percent, which will also save fuel. And you’ll have to spend less time stuck in traffic. Robots don’t get drunk, tired, distracted, or bored. These all-too-human traits appear to cause 40 percent of fatal traffic accidents. The Highway Loss Data Institute had discovered that autonomous braking systems lower crash rates. 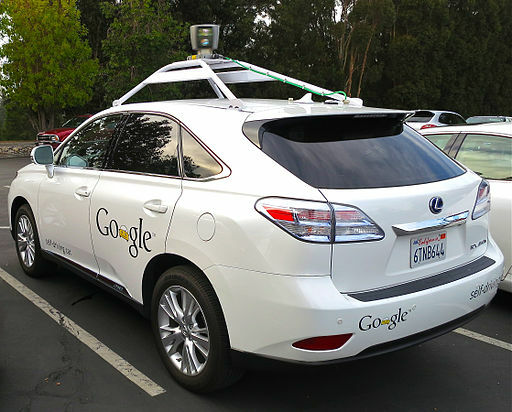 Google’s self-driving car has gone 700,000 miles without an accident. So your insurance may go down. And robots may help your marriage. Researchers at Umea University in Sweden found that people who commute for longer than 45 minutes are 40 percent more likely to get a divorce. Who knows why, but I suspect that long commutes make people grumpy. So that news and coffee might make you happier even when you’re not driving. These benefits may be less than five years away. But before you celebrate, there may be a lot of work to do. The current traffic code assumes someone is operating the car. Section 42-4-1101 , C.R.S., is an example: “No person shall drive a vehicle on a highway at a speed greater than is reasonable and prudent under the conditions then existing.” What happens when a car doesn’t obey one of these rules? Will the driver be punished? Will the manufacturing or programming company be punished? And that brings us to an even thornier issue: liability. Even with robots driving, accidents will happen. Who will pay for an accident? Will it be the driver-passenger? Or will it be a manufacturer? If it’s a manufacturer, will it be the auto manufacturer, the radar subsystem manufacturer, or the software programmer? And what if the system was hacked? If a manufacturer pays for accidents, will a driver still need liability insurance? To work together, cars will probably communicate with each other and store data. This is a potential mine of information. Crash data could be used to sort out the accident causes, which would improve the system. But it could also be put to other unwanted uses. The recorder is installed after a customer buys it. Does this law adequately address the issues raised by self-driving cars? Or will it need to change? And what about the effect on motor carrier regulation? If it’s okay for a semi driver to sleep while the truck goes down the road, will we still need laws limiting the amount of hours a truck driver can operate? In the future, driving your own car may only happen in car races. But self-driving cars present a challenge to current law. These technologies help with some of our biggest transportation problems, which is an incentive to take up these challenges. In the next decade, I expect the traffic code to change a lot.